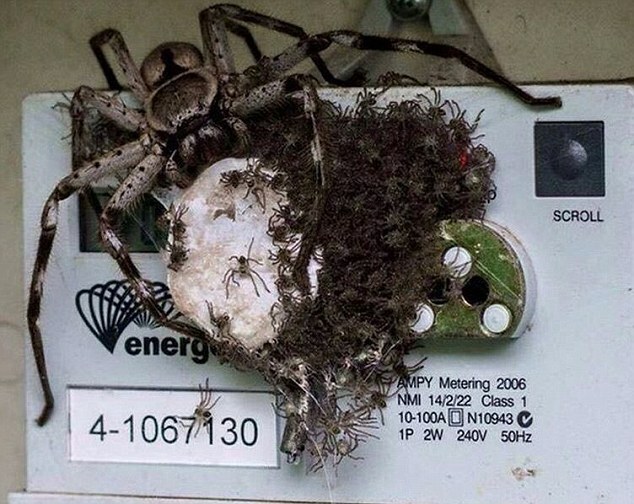 Aussie wants to check electricity meter, whole lotta nope. Discussion in 'Mayberry Lounge' started by Hagelslag2, Aug 17, 2015. Any suggestions as to how you would handle this problem? Ghegheghe. To be honest, these are not too bad. They're pretty big, but also virtually harmless. I was mostly interested in the ways my fellow Sherbrethren would deal with this situation. Looks like a TarAMPula to me! I can't beleive you made me go to the DM website. I feel dirty. Here it is so other people don't have to dirty themselves. Sorry man, got it through a Dutch site, but wanted an English site as a source. probably put the house up for sale. Must have been a whole lotta poop as well. Considering I've picked them up countless times already I'd probably just do that.